Forward Today: How will you fall in love with God again? In the new Forward Today, Scott reflects on Bishop Curry’s powerful sermon on love at last weekend’s Royal Wedding. It seems like everyone is talking about Bishop Michael Curry’s sermon at the royal wedding last weekend. When does a sermon ever become a news story? And yet, Bishop Curry has been on CNN, The Today Show, Good Morning America, and even TMZ to talk about his sermon. Why? 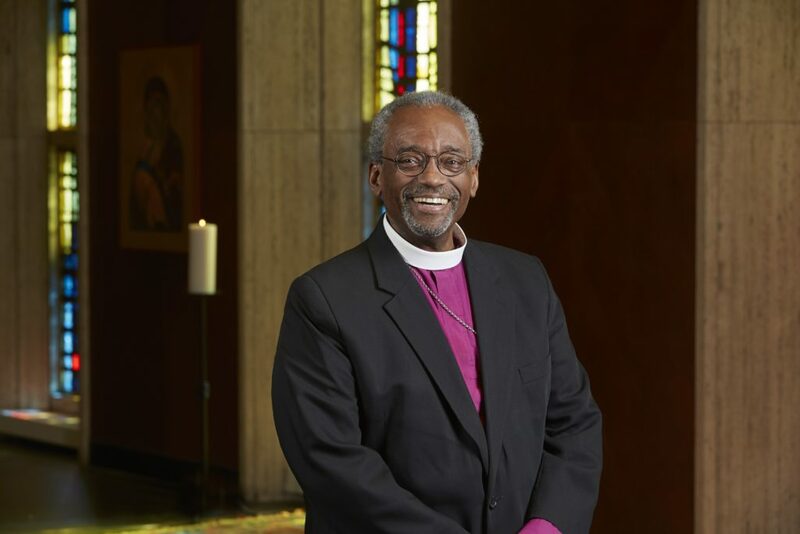 Certainly it has to do with Bishop Curry himself, who knows the power of media and who has the charisma to fill an entire room with contagious joy. But it’s more than that. It’s not really about Bishop Curry at all, I think. The reason the world has been captivated is that, last Saturday, some two billion people around the world heard a message of God’s love in Jesus Christ. Other than the spectacle of “one of our own” appearing in surprising places, what does this mean for us? Surely, there’s more to be gained here than a few chuckles from a funny impression of Bishop Curry on Saturday Night Live. It seems to me, we have two big opportunities. The first is to renew our own love of God and our neighbors. How can we once again fall in love with God and then share that love with others? And the second is this: how can we invite other people to know the transforming power of God’s love in Jesus Christ? Not long ago, Forward Movement published a book that Melody Wilson Shobe and I have written. Walk in Love: Episcopal Beliefs & Practices offers one way to explore what a life rooted in love looks like. Our book suggests that knowing and sharing God’s love is rooted in the sacraments, in daily prayer, in service of others, and in sharing the Good News. How will you fall in love with God again? How will you invite someone else to know the transforming power of love? Today’s featured sale item is Broken. Just $13.50, today only!